Universal Cargo is your one-stop shop for international shipping and logistics needs. At competitive rates, our friendly staff will provide you with reliable, transparent, and personalized service, covering every detail of shipping your goods around the world. With over 30 years of experience as a freight forwarder, Universal Cargo provides the know-how to handle any challenge that may arise with your imports or exports so you can focus on what you do best, building your business. 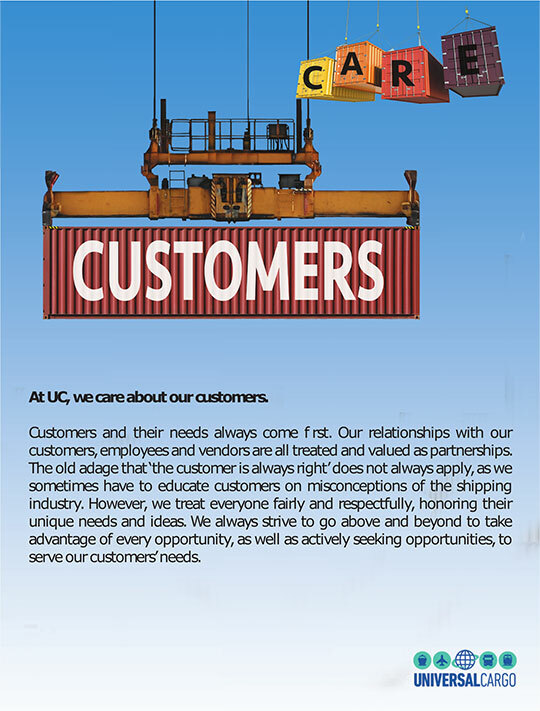 At UC, we care about our customers. 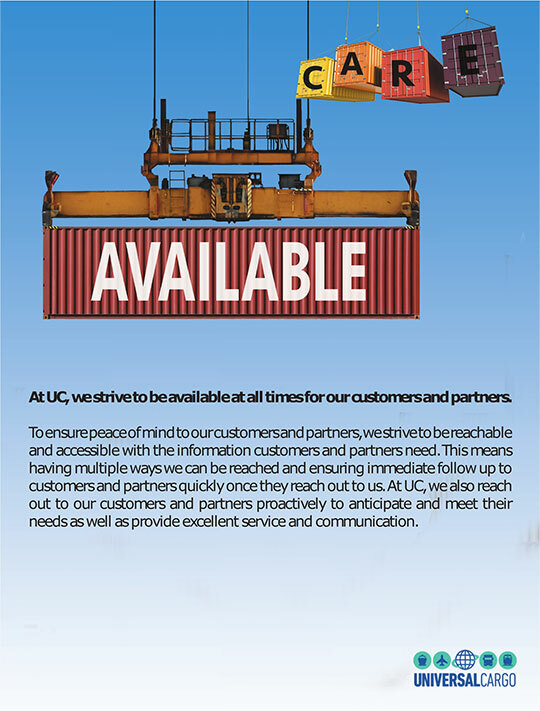 At UC, we strive to be available at all times for our customers and partners. 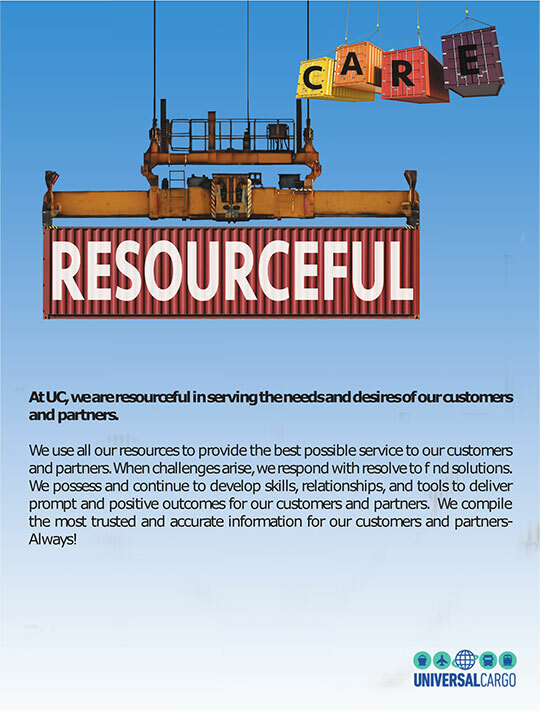 At UC, we are resourceful in serving the needs and desires of our customers and partners. 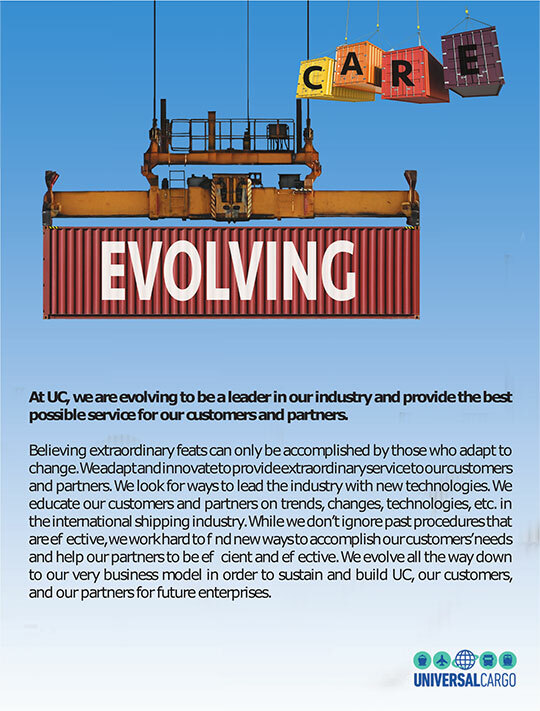 At UC, we are evolving to be a leader in our industry and provide the best possible service for our customers and partners. Each customer is assigned a dedicated Account Executive and a dedicated Account Manager. Ship internationally over water any size container or shipment. Ship internationally by air over 50 kgs. Ship packages 25-100 kg each internationally by air.